Is your Mom a bit of a geek or a gamer? 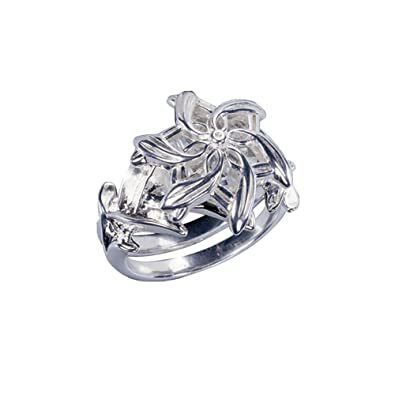 If she is, then today’s selection of Mother’s Day jewelry gift ideas is perfect for you. 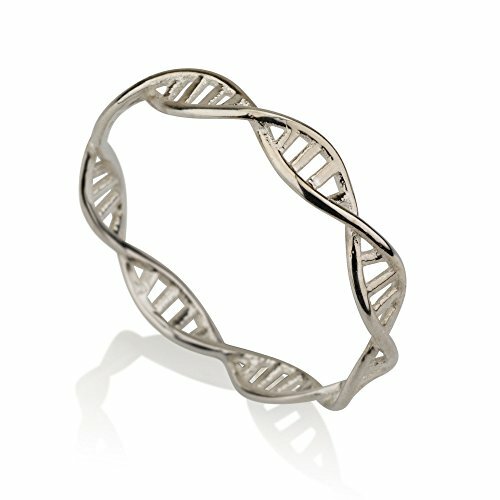 This is the second post of geeky jewelry – check out our Jewelry for Geeky Girls selection too. 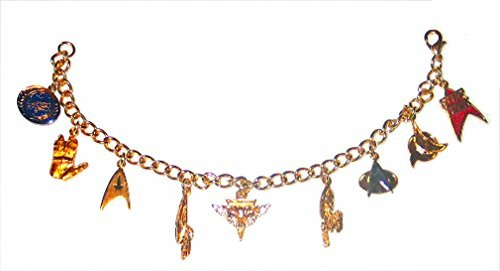 Most of these items are fun, fashion gifts rather than fine jewelry but that doesn’t mean they aren’t fabulous! First up we have a couple of lovely science themed ideas for you. 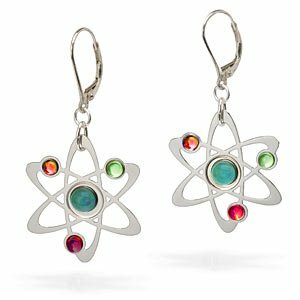 The Atom design dangle earrings are fun and colorful and the sterling silver DNA helix ring is a simple but very effective design. 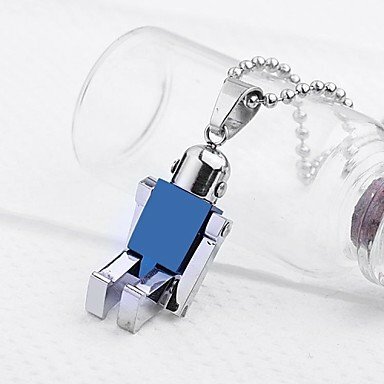 I love the little robot pendant which can be engraved with a name or message too. The robot is also available in other colors so if blue isn’t your Mom’s color, you can choose black or silver instead. 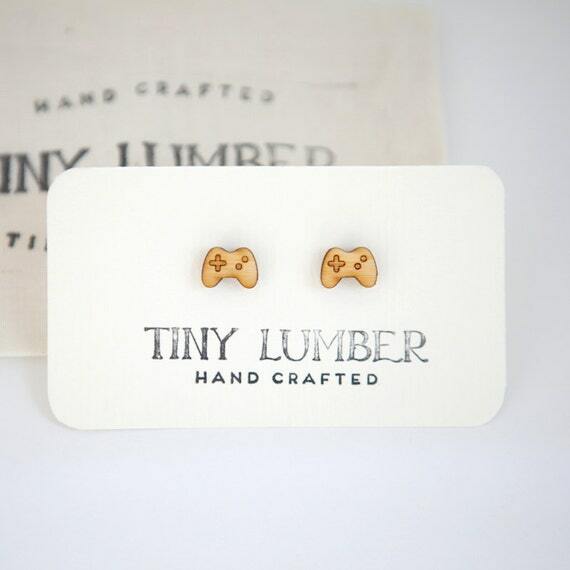 I love these tiny handmade bamboo game controller stud earrings. I’m not a big fan of dangling earrings myself though I have been known to wear huge hoops many years ago! 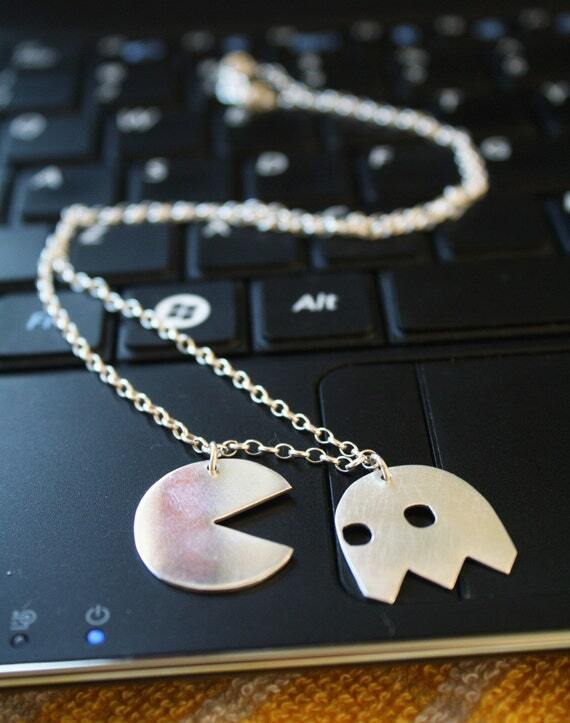 The Pacman and silver Ghost is a gorgeous necklace, also handmade and in two different finishes. The artist also has stud earrings to match in her Etsy shop. 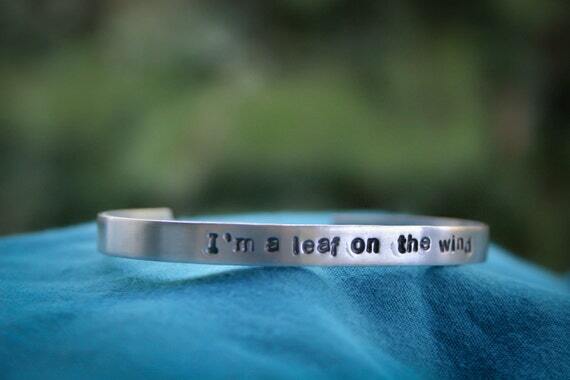 I love the simplicity of the Captain Malcolm Reynolds quote bracelet – the seller (The Vagabond Studio) also has a bunch of other sci-fi & fantasy quote bracelets and she has a section for custom items so if your Mom has a favorite quote, you could really make a special gift for her this Mother’s Day. 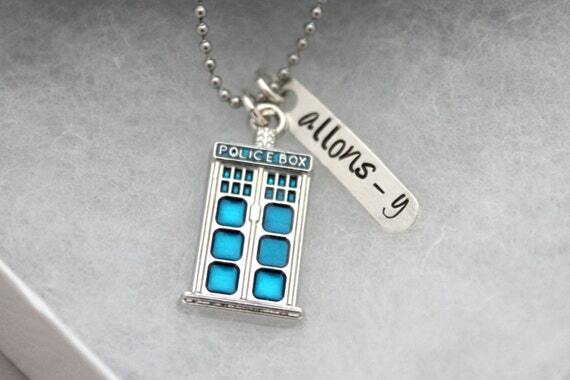 I love Doctor Who and this necklace has a tiny Tardis charm and a tag which says “Allons-Y” made famous by the 10th Doctor. 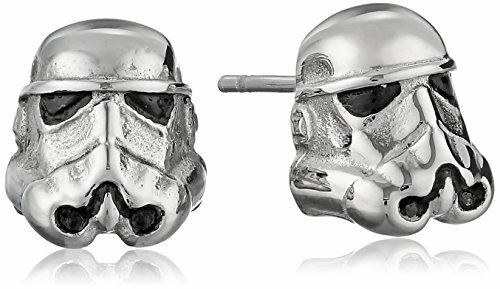 Star Wars is always a firm favorite with geeks of all sorts so these stormtrooper earrings would be a great gift for any Mom who loves Star Wars. 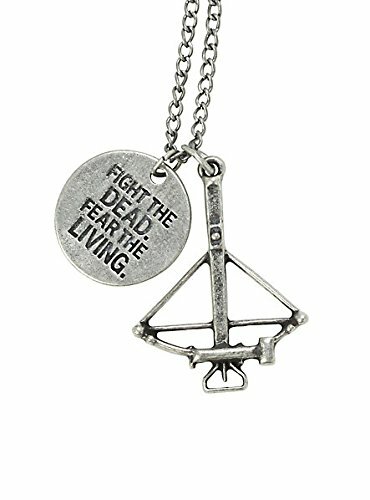 Finding a pretty zombie necklace was impossible but this crossbow & tag is perfect for any Mom who loves The Walking Dead. Check out Cold’s Mega Walking Dead Gift Guide too if your Mom is a Walking Dead fan. Lastly and probably my favorite item from the whole selection today is this gorgeous sterling silver ring from The Hobbit movie. It’s based on Galadriel’s Ring of the Moon, called Nenya. 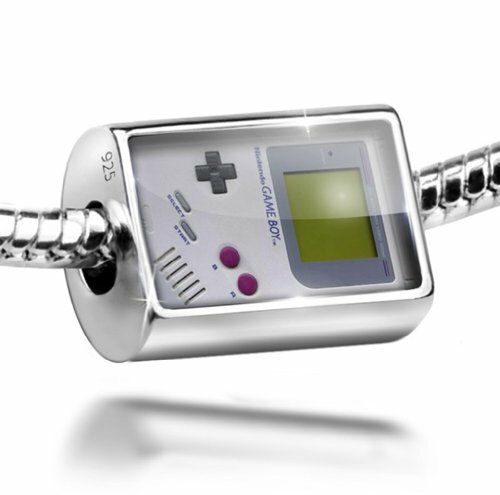 I hope you’ve found that perfect Mother’s Day gift for your gaming or geeky Mom. If not, don’t forget you can search our site by using the search box up top or look through categories for your Mom’s favorite geeky topic. We’ve got a bunch more Mother’s Day gift ideas for you though so pop us on your favs list to come back and check out our upcoming posts too. If you’d like some help finding a perfect gift for Mom on Mother’s Day, leave a comment and a few details below and we’ll go gift hunting for you.